Rhod John is an experienced, forward thinking dentist, committed to providing high quality dental care for his patients. 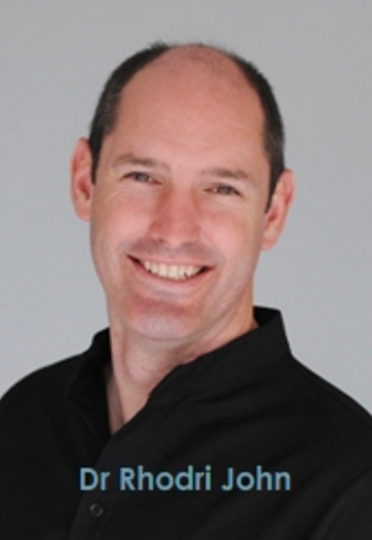 After taking over Anchor Dental in 2001 and since turning it into Absolute Dental, Rhod has demonstrated his abilities not only as an exceptionally popular and talented dentist but as a dynamic, and motivating team leader. With advanced training in cosmetic dentistry, in which he has a special interest, he is also at the forefront of new enhancements and techniques so heavily in demand. Rhod has studied Dental Implantology at St Ann’s in Manchester and is thrilled to be able to offer this life-changing treatment option to our patients at Absolute Dental. Hard work and dedication reaps rewards and Rhodri’s commitment to his staff, their training and development, was acknowledged with his title Employer of the Year 2004 at the Private Dentistry Awards. He himself has also been a finalist three times in the Probe Dental Awards and on each occasion he was voted runner up as Dentist of the Year against fierce competition. As a testament to the excellence of his work, Rhod has a loyal client base. He is noted for his quiet, calm and gentle demeanour so greatly appreciated by nervous patients. Ruth joined us in 2004 and has since made her mark with both patients and staff due to her incredibly caring nature. Prior to her relocation to Devon, Ruth had been in practice in London and brought to us many years of experience. 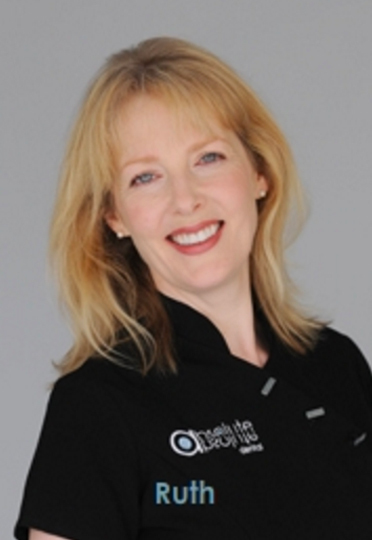 Her gentle and kind manner is commented on daily and brings a very personal touch to her dentistry.A commitment to clinical and professional development has led Ruth to regularly attend courses in London. Ruth has introduced the hugely popular and effective Sleepwell (solution to snoring) to the vast list of treatments she already provides for her patients. Ruth is also delighted to have completed training to offer the leading cosmetic dentistry procedure with Inman Aligner. This revolutionary treatment is changing the face of cosmetic dentistry as it can transform protruding teeth or a crooked crowded smile in just a few weeks.